The 1970 1971 GTO Systems were the same for both automatic and manual transmission cars however they did change from 2″ to 2 1/4″ head pipes for the std duty and Ram Air cars. . 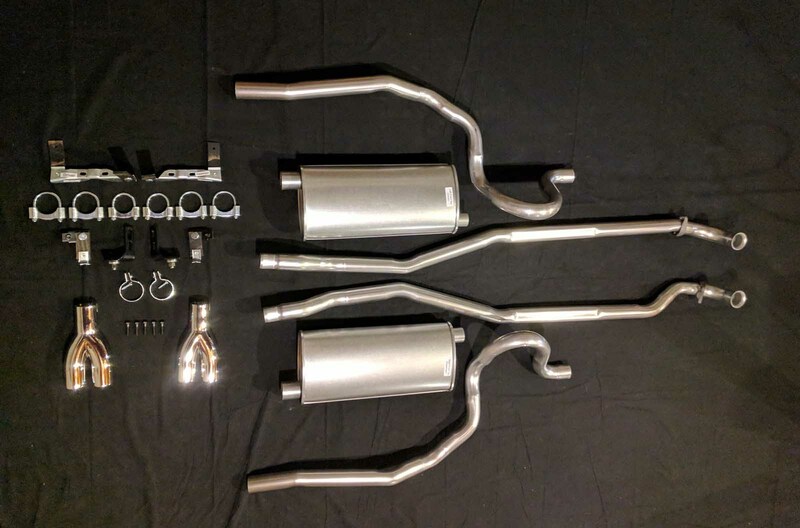 The rest of the system consisted of 25″ long mufflers and 2 1/4″ tail pipes with a splitter placed on the end for aesthetics. 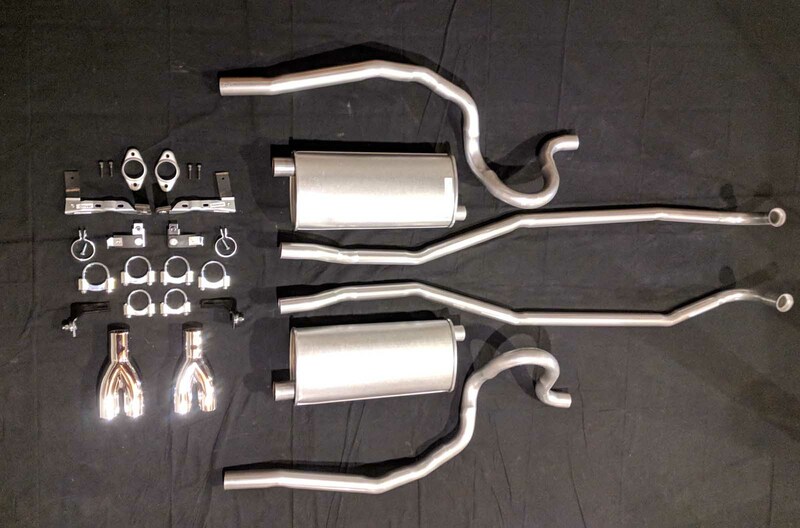 Our systems come reproduced from originals, they come with the correct head pipes with correct flats where applicable, correct flanges, mufflers, muffler hangers, gm style clamps installation instructions, diagrams and sealant. Brackets, bolts and splitters our reproduction tail hangers, and 2 1/2″ strap clamps are available. Ask about our concourse show package when original just is not good enough. 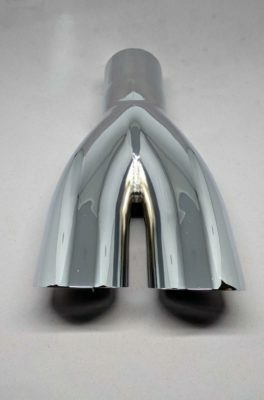 The 1970 - 1971 GTO Hanger is another reproduction that came about due to our belief of a possible hindrance to the fit of one of our exhaust systems. Our hangers are reproduced from the originals you see here. 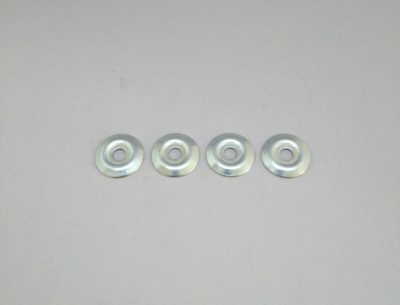 They use the correct corded rubbers and button head rivets. 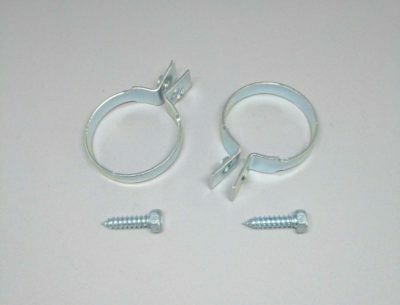 They are equipped with the correct 5/16 18 weld nut and corresponding screw. 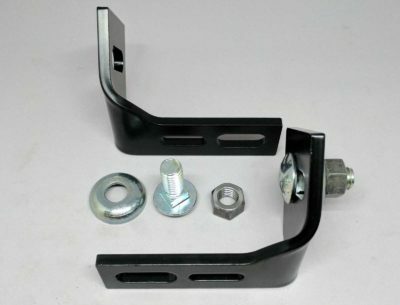 They come powder coated chassis black as original with zinc plated brackets and rivets, and are accompanied by installation instructions for easy installment. 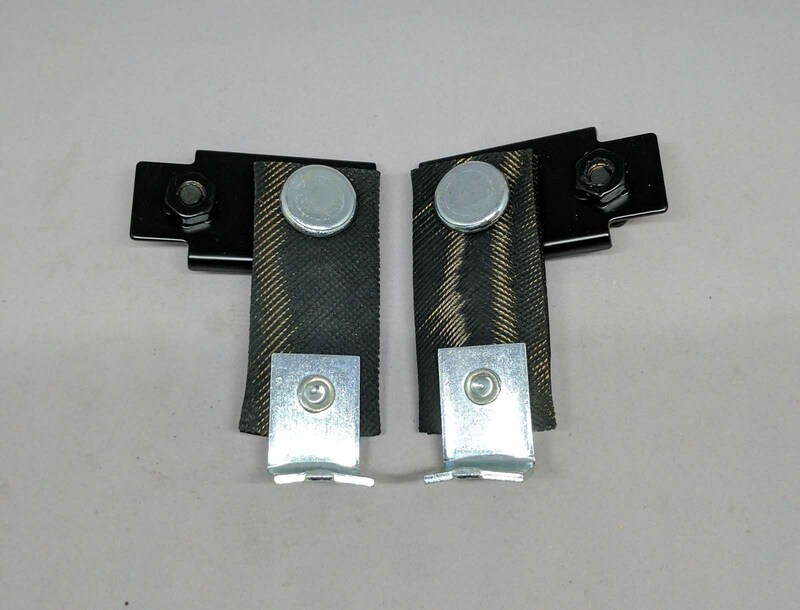 These hangers may be purchased with one of our exhaust systems. As with all of our reproductions we encourage you to compare with originals. 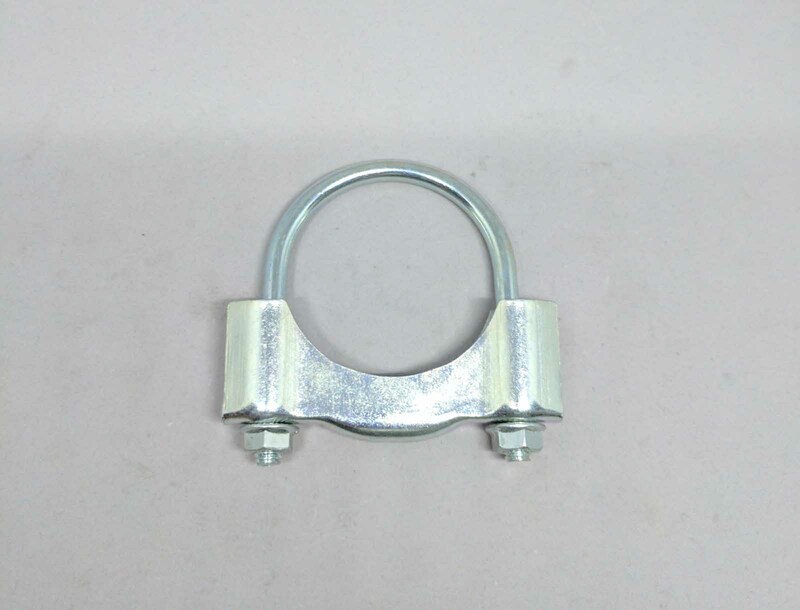 The GM Strap Clamp pictured here is a 2 1/2" strap clamp. It was used exclusively in the GM Muscle Car Market to attach the 1970-1971 GTO Splitter to the tail pipe hanger. The strap clamps that have been available previously for this application were 2 1/4" which can not function properly. 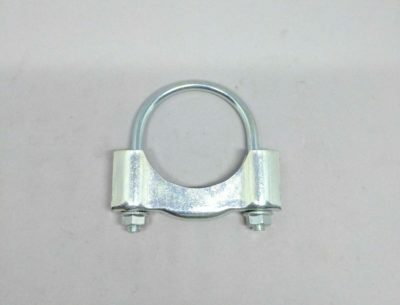 We decided to reproduce this clamp after realizing that no matter how nice our 1970 -1971 GTO exhaust systems look they still are incomplete with out the presence of this clamp. Our clamps have been reproduced from the original above and come zinc plated with the correct sheet metal screw. These are the correct brackets used on all 1970-71 GTO exhaust systems to hold the rear hangers. They come powder coated chassis black and are a Gardner Exhaust exclusive reproduction. The washers seen here are a unique cup washer and until our recent reproduction were not available anywhere leaving the restorer no optons but to come up with originals. 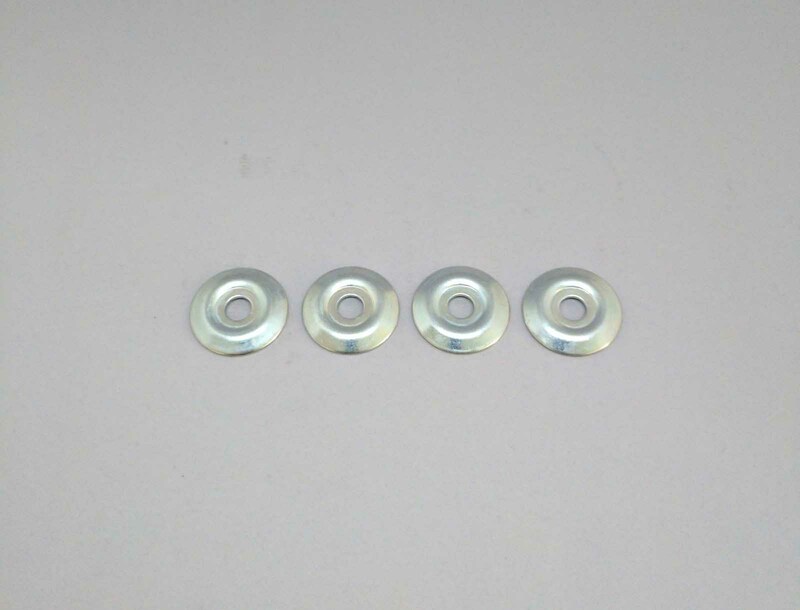 Our cup washers are made from our originals and come as part of our rear hanger bracket kit as well as the correct bolts and nuts. 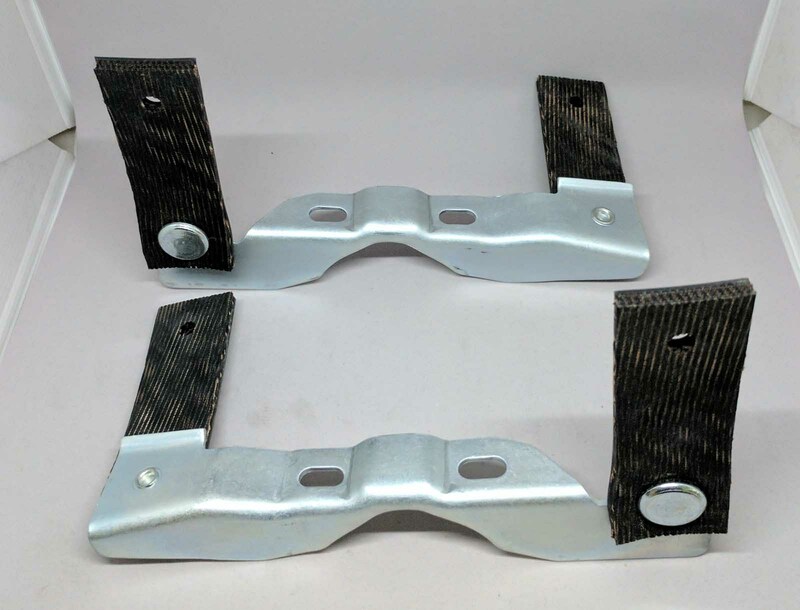 This bracket assembly is available with any of our 1970-1971 GT O exhaust sytems and As with all of our reproductions we encourage you to compare them to originals.